This past April, my father passed away after a six-month illness. It’s too soon for me to write about the experience we went through as a family, but I can talk about my own health. I had been experiencing early morning anxiety since November, around the time my dad got sick, and then I started waking in the night with panic. By the end of April my nerves were completely shot and my “fight or flight” response was firing 24/7. 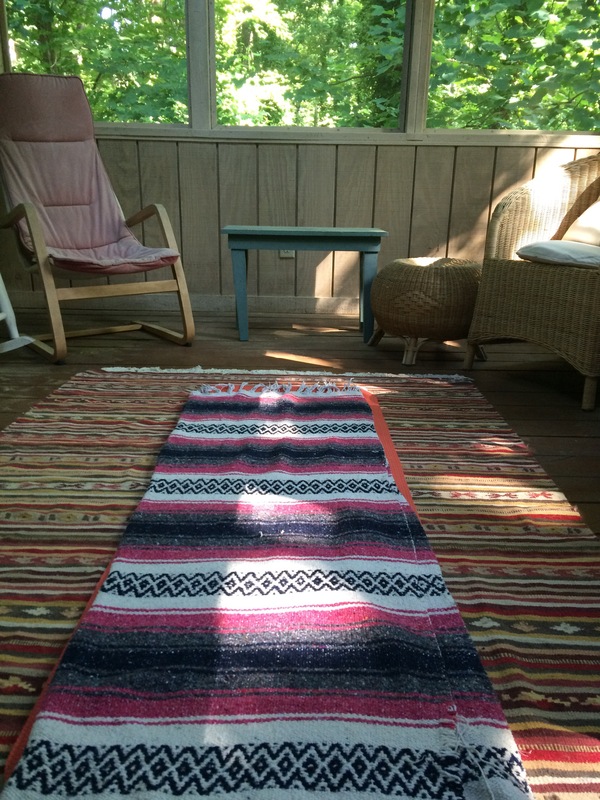 I ended up finding a wonderful doctor whose integrative approach is helping me recover, and in the meantime, I’m spending my mornings practicing gentle yoga on my back porch. My backyard is completely wild and overgrown, a place that could definitely be tagged as a wildlife refuge in the middle of the suburbs. All I hear in the early morning is the wind in the trees and birdsong. May we all experience healing and wholeness, the feeling of wellbeing, of feeling safe and secure and at peace. Thanks, Mike. I’ve been swimming laps every day. It’s a great release. The path is made by walking, as Antonio Machado says. So sorry for your loss. Healing blessings, Christine. What a beautiful place for yoga. Thank you, Wayfarer. Blessings to you, too.